Excision means "to surgically remove". This term is often used in reference to removing a mass, excision means that tissue is removed, using a scalpel, laser or another instrument. Excision refers to completely removing the tissue in question, rather than just a part, as is done in a biopsy. While the term excise is often used to describe a large range of procedures that remove tissue during surgery, the precise use of the term means removing an entire structure using some type of cutting instrument. 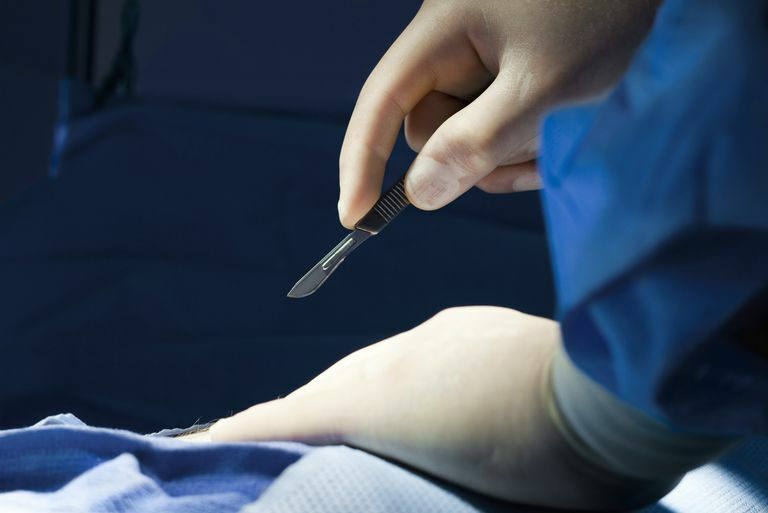 It would be fair to say that an appendix is excised during an appendectomy, as the entire appendix is cut away from the healthy tissue and removed. An excisional biopsy removes the entire area that is being studied. While the term excise is often used to describe procedures that are used to treat cancer, the term is not exclusive to the treatment of cancer. Tissue may need to be removed for a variety of reasons, and while cancer is certainly one of those reasons there are many other medical problems that can lead to the need for an excision. The individual performing an excision would depend on upon the nature of the tissue and the location. An excision in the brain would be performed by a brain surgeon, an appendectomy would be performed by a general surgeon, and a skin biopsy might be performed by a plastic surgeon, dermatologist, family practice or internal medicine provider.